He climbed a 200-foot high wind turbine to relax, lay in the sun, and escape the troubles of society, only to be discovered by a drone pilot. Now his secret chill spot is floating around the internet for all to see. For what it’s worth, the video was captured by Kevin Miller while on holiday in Rhode Island, and he was just as surprised to see the man sunbathing on top of wind turbine as the man on top of the turbine was to see a drone in his face. It makes for an awesome video though, even if the poor guy now has to find a new spot to relax hundreds of feet in the air. I’d propose him seeking out a smaller turbine, one not quite as high up because I’ve been known to toss and turn a bit when I fall asleep. A 200-foot drop off a wind turbine is nothing like rolling off of your bed. 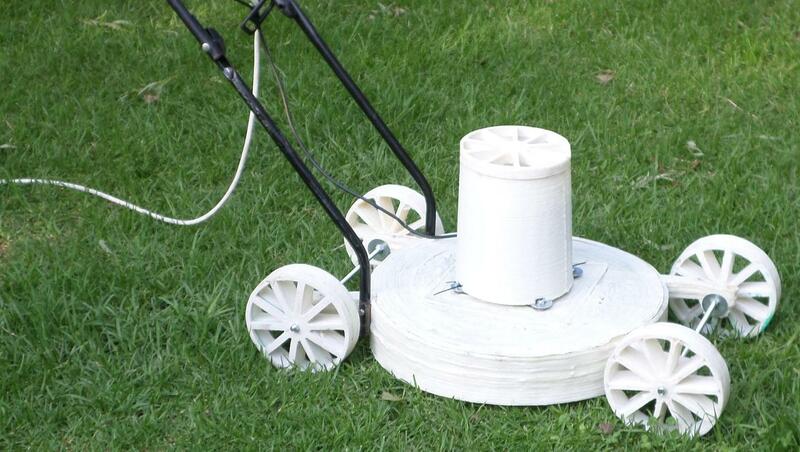 3D-Printed Lawn Mower That Works? This Guy Churned Out All The Parts In Only 9 Hours!